Let’s say your product team is about to launch the next big thing. Everyone is excited by what this new product can do, so you send out a press release while the members of your sales team get ready to sign orders and spend their year-end bonuses. But nothing happens. Or, more accurately, what happens is terribly disappointing. Sales are slow. Customer interest is minimal. And adoption rates are just not what anyone had hoped they would be. The problem may not be the product. It’s time to take a good hard look at your launch plan. Should you go big… or go home? If you have a truly breakthrough product, you need a break-through-the-clutter launch. A press release and a prayer aren’t going to cut it. According to Jonathan Chan of Foundr, a firm that provides resources for novice entrepreneurs, studies estimate as many as 70 percent of product launches fail. ✅ Tip: Ask yourself if the world really wants what you’re offering. For every wildly successful gordito from Taco Bell there are a dozen long-forgotten apps, New Cokes, and other products that flopped due to consumer apathy. Launching a new product (or completely overhauling an existing one) will have a big impact on your organization. It’s also an opportunity to develop a long-lasting relationship with customers, both new and existing. So think of the product launch as the start of a journey, one that could dramatically boost the exposure and awareness of your brand. If successful, it’s going to lead to more sales, more customers, and a stronger bottom line for your business. Not to mention those year-end bonuses. It all starts with a launch machine that’s up and running even before your product is ready. The thing about new products is no one knows much about them. That’s both a blessing (because you get to position your product however you want) and a curse (because you’re starting from scratch in terms of creating awareness). Before you even think about launching, collect all the background you can find about the new product. Describe what the new product or service does, how it works, and the research that went into its creation. If available, list any competing products, customer insights or customer-requested features. What problem is it meant to solve? How will the product solve it? The answers to these questions form the backbone of your product’s positioning in the marketplace. But what about messaging? As a marketer, you’re a storyteller and ambassador, advocating for your product and articulating unique points of view that differentiate your product in the market. At Atlassian, marketers work closely with product managers to find the story. We ask ourselves “Why will customers and non-customers care? Will press or analysts care? If so, why?” This is a slight variation on “5 whys” analysis and is very helpful in uncovering deeper value. A few years ago, we got hip to the message house technique as a way to organize our thoughts around how people will relate to our products and why. As a bonus, it keeps the customer top-of-mind in all our marketing activities (not just product launches) and ensures everyone from marketers to developers to executive stakeholders can talk about the product in a consistent way. Many launches fail not because of bad products, but because of insufficient resources. As you plan your product launch, calculate how much money and people power it will take to reach your target audience and sustain the launch. Or, if you’re like teams at Atlassian, your task is to figure out the most effective way to spend the already-determined budget. Deciding what tactics will be effective starts with defining your launch’s success metrics. Are you looking to earn press mentions? Draw first-time visitors to your website? Build buzz on social media? Of course, we want it all. But unless you’re armed with a magic wand and fairy dust, your best bet is to choose just one or two metrics to obsess over – then plan launch activities accordingly. ✅ Tip: Try a “goals, signals, and measures” exercise. This technique helps your team determine the launch’s high-level goal, how you’ll know if you’re on the right track, and the targets you’re aiming for. As you begin planning and executing your product launch, good communication becomes critical. One easy way to solve the communications challenge is by posting all pertinent information in a central location. This ensures every member of your team has access to the same, most up-to-date information and resources. Team members don’t waste time searching for information, discussing assigned tasks, and wondering about product details or requirements. Links provide easy access to important information on issues. This makes the process as easy as checking Facebook, but much more productive. At Atlassian, we improve communication and consistency throughout any product launch by using templates, which allow us to eliminate all the disconnected documents, texts and spreadsheets that clog up the product launch process. Instead, you end up with planning pages that present your launch plan at a high level while putting the down-in-the-weeds details a mouse click away. Each time we launch a new product, it involves dozens of people across several departments. Using templates for our launch plans helps keep team members on the same page (literally) throughout the project, and saves the launch lead from having to reinvent the wheel. 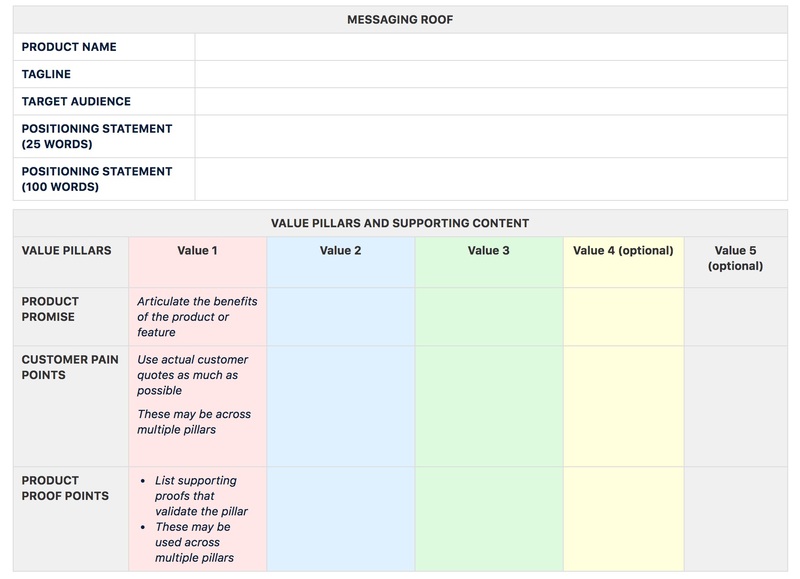 Use this template in Confluence Cloud or download as a PDF here. A solid template includes space to map launch activities to developers’ tasks and includes a summary at the top so stakeholders have a big-picture view of the launch plan’s status. And don’t forget to specify roles and responsibilities so the members of your cross-functional marketing, public relations, and design team can work together seamlessly. Before the product launch, sketch out a roadmap that visualizes the streams of work, making sure the timeframes are logical. Once your product launch roadmap is complete, share it with your marketing team, the product leader, and other stakeholders. Ask them to poke holes in the plan and to suggest improvements. Are you solving the right problems in the preferred order? Is the roadmap realistic? Do you have the right team? Go through a few iterations and update your goals and roadmap accordingly. Even after you’ve translated the roadmap into action items, you can (and should) continue to ask for feedback. Make sure product requirements are in place for development team members and that they’re easy-to-access. That way, developers can quickly reference them and everyone else can refer to them as the launch progresses. Your product launch can include a range of tactics and activities. A grand announcement event is almost essential. Whether it’s virtual, live, or a mix of both, you can make it even more exciting with a contest, a product giveaway or discount, and appearances by important influencers. Promote the event and launch with email blasts, blog posts, and a full range of marketing materials. You can keep the excitement rolling after the grand announcement with ongoing promotional support and educational materials, demos and events that support the product and its benefits. Keep a step-by-step checklist of what needs to happen on launch day so no detail gets forgotten amid the chaos. Whatever the final list of activities and tactics you use to launch your new product, remember it all starts with audience-focused planning and the right preparatory steps. Those are not only the keys to a smooth launch, they mean you’ll have fewer meetings and status reports. You’ll work faster and more efficiently. And at every step, you’ll know the plan is on target, or you’ll know what to do to get it back on target. The result will be a launch that works. As long as the product isn’t, say, a reformulated version of Coke.